Hope is in the air, and the water. On a recent trip to Chicago to attend the Patagonia Action Works conference, FLOW Executive Director Liz Kirkwood met an extraordinary young advocate, Marcella Carter. Spurred into action by her concern about the oil and gas pipelines threatening the Straits of Mackinac, Marcella organized friends and classmates and raised $1,000 to support FLOW’s work to shut down the lines. We wanted to know more about Marcella and her work. A sixth-grader at the University of Chicago Laboratory Schools, just blocks from her home in Hyde Park, Marcella is 12. We e-mailed her some questions about what led to her leadership on Line 5. Where does your interest in the environment and water come from? Throughout my childhood I have grown up around nature and learning to love it. My family and I go camping often. When we lived in Georgia, we had a spot that we found one year after hiking for 10 miles and it was perfect for us, with the raging river right there, little sandy coves, and secret trails. So, every year after that we hiked the full 10 miles and set up camp in our spot. We have many stories and had great adventures camping, many including my dog CastaLuna, a spanish greyhound. Another thing that I grew up around was my parents’ cloth diaper business, Better for Babies. They started making and selling reusable cotton diapers to help decrease the amount of disposable diapers going into landfills and then they had the idea to sell an even wider variety of sustainable items, so they started Better for Grownups as well. They started selling reusable tissues, makeup rounds, etc. I remember walking down the block from Miss Marni’s Preschool with my dad by my side in his electric wheelchair towards the building where all Better for Babies and Better for Grownup things happened. As I opened the door and walked in, I was greeted with the sound of sewing machines and the seamstresses’ voices shouting my name in welcome. I spent my afternoons there, climbing the wooden structure that held the huge rolls of soft cotton fabric and sitting there watching. These things have made me very passionate in helping to protect the amazing environment that we all live in. 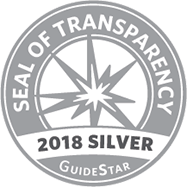 What inspired you specifically about raising money to protect the Great Lakes from Line 5? What do you hope the result will be? I learned about the problem with Line 5 one day when my dad got an email from Patagonia alerting people and asking for help to get Line 5 shut down. The email included a link to the movie Great Lakes, Bad Lines. My dad and I read the email and were shocked! We started the movie and I immediately wanted to do something to help. I love Lake Michigan, it is a part of my life. I see it almost every day and it makes me smile. 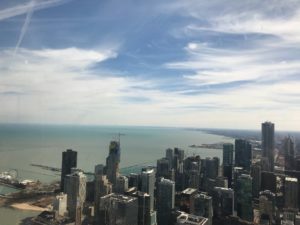 When I moved to Chicago and saw Lake Michigan for the first time in person, I was in awe. I had never seen a lake look like that. At that time my definition of a lake was the lake that my house was next to in Georgia, Lake Carroll. I have memories of going out on the lake in my grandfather’s boat in the summer but it just doesn’t compare to Lake Michigan. Lake Carroll is small and filled with dirt because of a construction accident when all of the dirt that they were digging up tumbled down the hill and blew into Lake Carroll. Because of that you can’t see the bottom of the very shallow murky water, and when it rains the dirt will all come up to the surface and you can easily get an ear infection if you swim in it. Lake Michigan is special, with the way that one day when the sun is out it can look like the ocean next to a Hawaiian beach, the next day it’s so clear that you can see everything beneath it, then on a rainy day its waves are raging and it’s a dark mysterious grey. It looks like Lake Michigan has many different feelings or emotions and expresses them through colors and texture of the water. I don’t think that anyone wants one of those new colors to be black oil. I don’t just want to protect The Great Lakes from Line 5 because of its beauty or my memories of reading on the warm rocks while my dad, who used to be in a wheelchair for 10 years, is swimming, but also because Lake Michigan is a very important source of freshwater. If Line 5 broke and spilled oil then we would lose so much water. We may still have lots of bottled water, but bottled water is not good for the environment and many people can’t afford it, so tap water is a great solution. But, if Line 5 doesn’t get shut down, there goes a ton of our tap water. I hope the result will be Lake Michigan still being what it is and not ruined by oil. Do you see yourself working on environmental issues in the future? Yes, I definitely do! I hope to continue what I am doing now, helping issues by raising awareness or money, working with the sustainability club to make our school more green, and going to events to learn more. As for when I am older, it has always been my dream to become a fashion designer. As I learned more about the problems with fast fashion, child labor, poor work environments, and factory pollution, I brainstormed ways I would make my fashion brand more environmentally friendly but also sell clothes and collections that are fashionable and that make women feel confident. I am going to keep researching and working on my sewing and design skills so hopefully my dream can come true. What advice do you have for other young people who care about protecting our environment? First of all, that’s great! We need more young people who care about protecting our environment because we are the next generation and can make a big impact. I would say know that you can make a difference and don’t let anyone tell you that you can’t or you’re “too young”. I would also say that some of the best ways to start protecting our environment is first with your own lifestyle. Make sure you are recycling, ask your parents if you can start composting, and when your parents go to the grocery offer to tag along and bring reusable bags. When you are at the grocery, help your parents make more sustainable choices. For example: If you are buying applesauce, instead of buying a box of individually wrapped squeezes, ask your parents if they could get you the big glass jar of applesauce — without being bossy (Ms. Williams gave the Sustainability club that tip!). Then, help your school by starting a club if there isn’t already one. You and your club can find non-environmentally friendly things about your school and figure out ways to fix them. You can also talk to local restaurants, coffee shops, bookstores, etc. about ways they can reduce waste. For example, research compostable straws and find a brand that looks reliable and share it with the store, asking them to use that instead of plastic ones, and make sure to tell them that even if they don’t have a compost, the compostable straws are still better than plastic ones because they will decompose in 3 to 6 months even in a landfill, but plastic straws take up to 200 years! If the store doesn’t want to change their products you can also just set a good example for others by bringing your own reusable straw with you and use that instead of reaching for a single use plastic straw. Others may ask you about your reusable straw and that can give you a good chance to teach others. Sometimes all they need is some information and shocking facts to think twice about grabbing that straw and maybe they will even go online and buy a reusable one! If you want to learn more about environmental problems and how to help, ask your parents to take you to some events, then bring back the information you learned to your club and see what you can do. 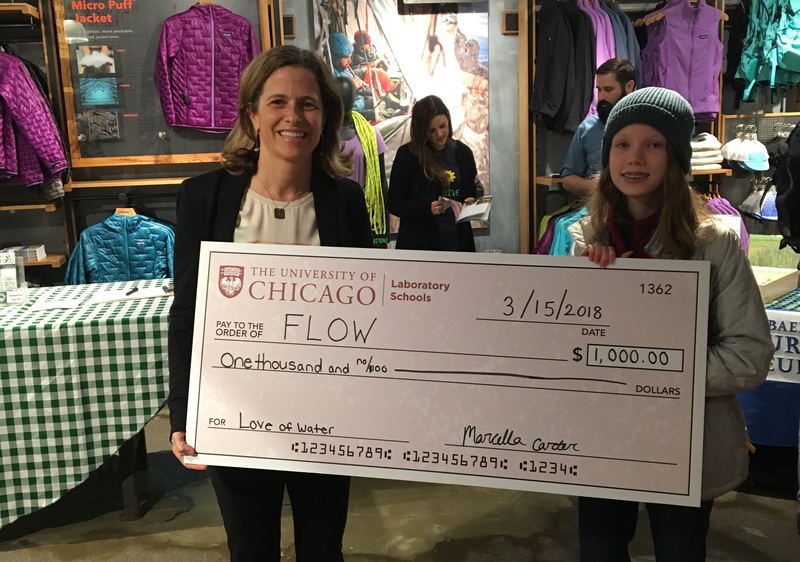 FLOW is grateful to the University of Chicago Lab School’s Sustainability Club, Marcella and her family for their commitment to environmental stewardship. The future will be brighter because of them.